I am not even a little bit shy about copying this inspiration outfit down to the very last detail - I think it's perfect! If you are headed to work on a chilly day that doesn't necessitate a full winter coat, I love the idea of tossing a quilted puffer vest on, and taking it off when you arrive at the office. 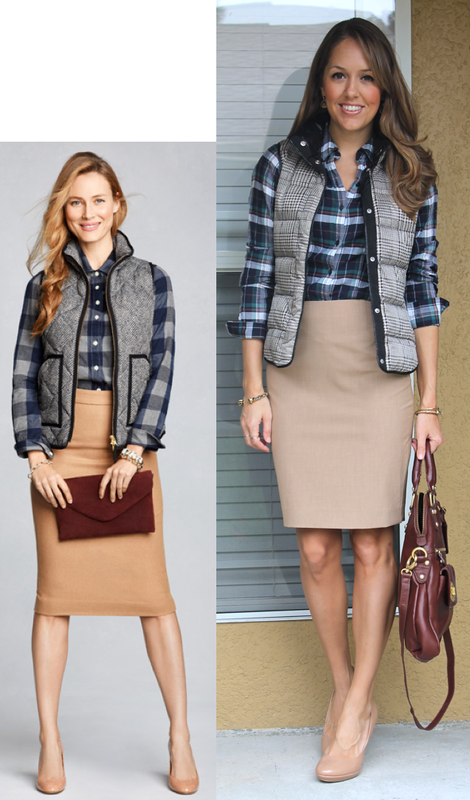 I also plan to wear the same plaid top + vest combo with jeans and flats for running errands soon. Would you wear today's look?